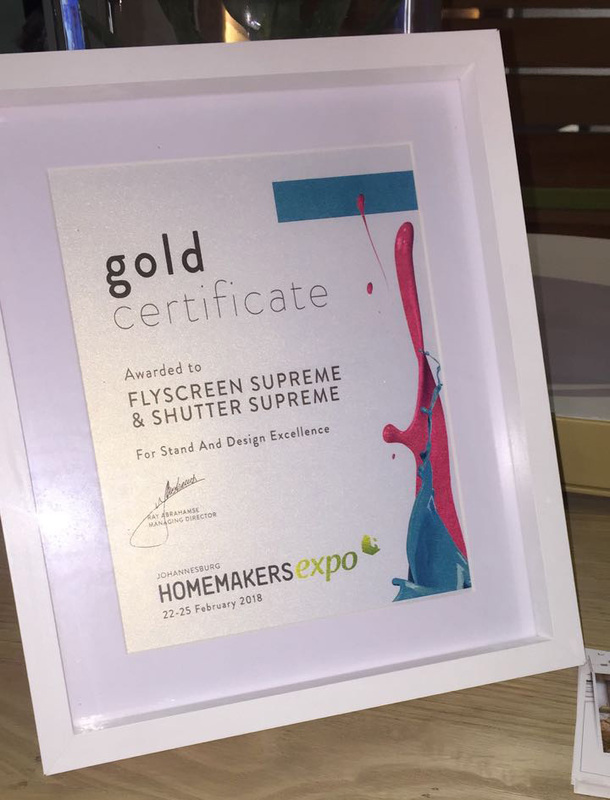 It was a proud moment for many individuals as House of Supreme graciously received the gold winner award for stand and design excellence, on the 28th February 2018, at the Johannesburg Homemakers Expo! 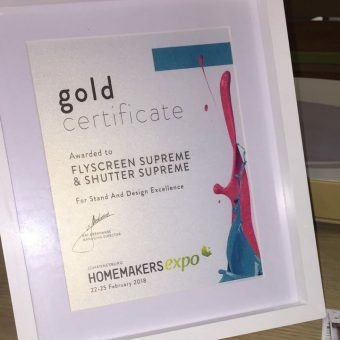 What makes the Homemakers Expo Gold Award so coveted? 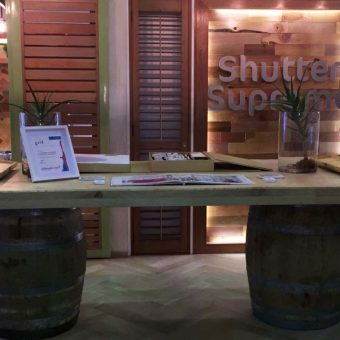 Despite some fierce and friendly competition, the shutter and flyscreen gurus came up victorious, due to their design creativeness, stand functionality, and of course, their superior product quality and fantastic service. 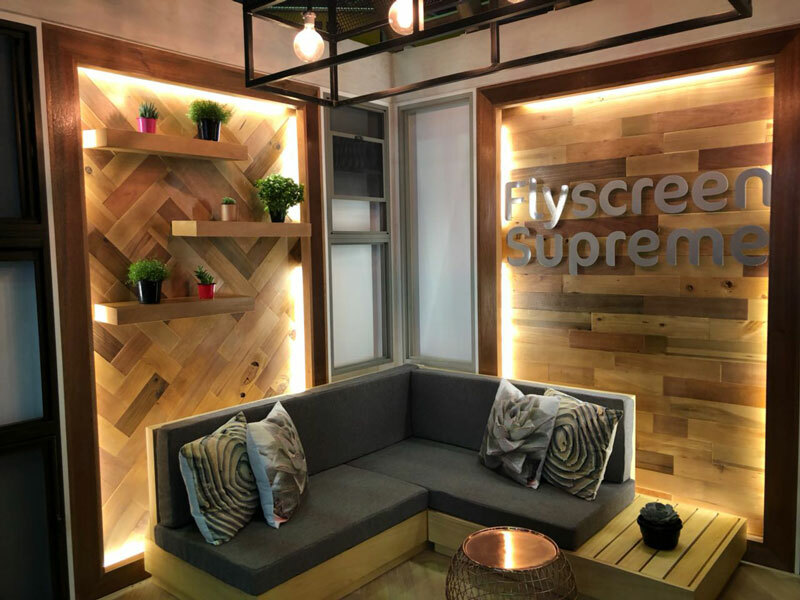 “It was evident that Flyscreen Supreme & Shutter Supreme pulled out all the stops to present an exhibit of such distinction. 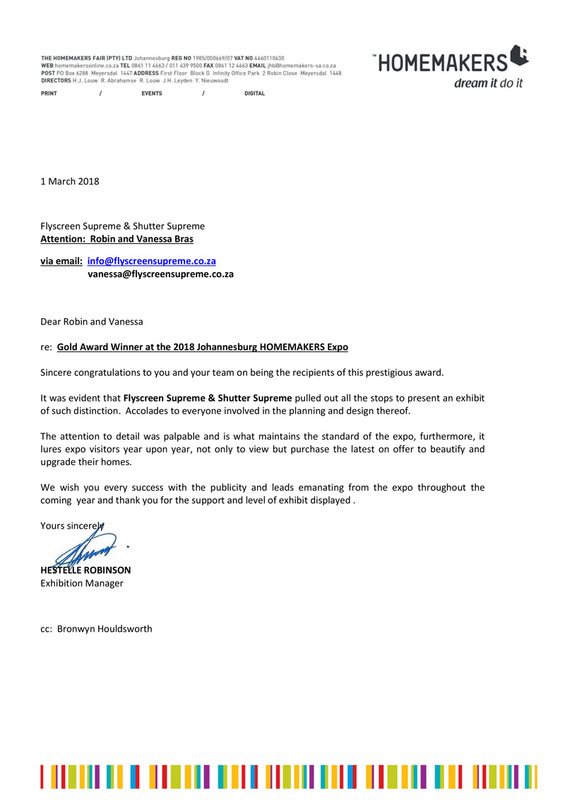 Accolades to everyone involved in the planning and design thereof. 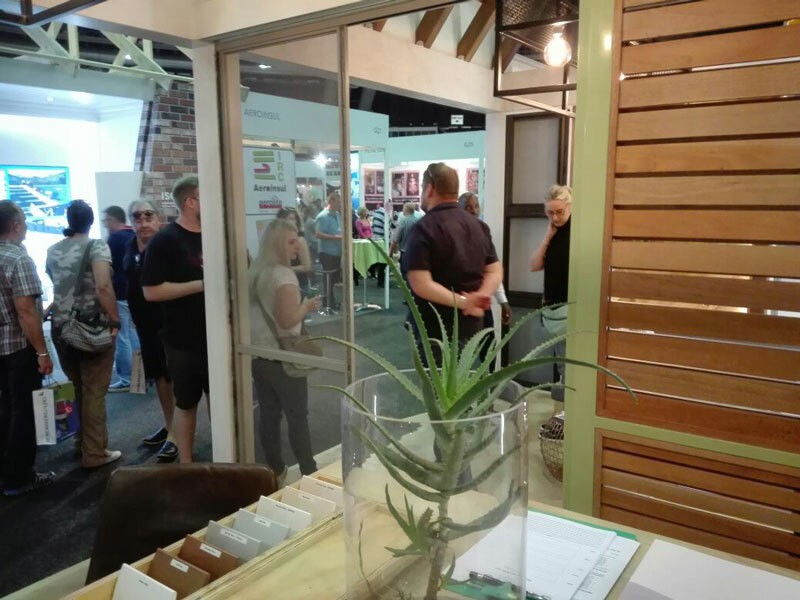 The attention to detail was palpable and is what maintains the standard of the expo, furthermore, it lures expo visitors year upon year, not only to view but purchase the latest on offer to beautify and upgrade their homes. Who is the Homemakers & how can they help you? 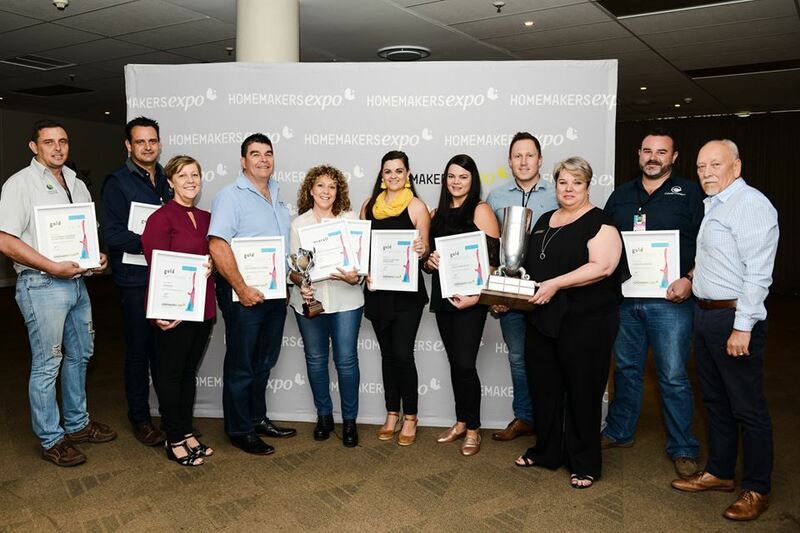 Known as South Africa’s largest direct response home style lifestyle and home improvement, Homemakers distributes an incredible 1 170 000 copies across the country every month and provides its readers with a comprehensive directory of interior ideas and products. 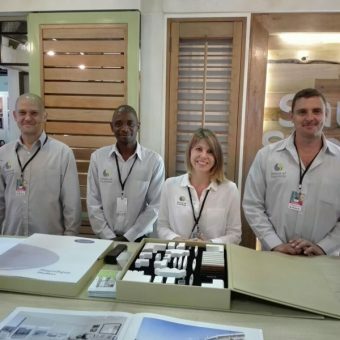 “Our print catalogues are light, portable and aspirational; they’re designed to be picked up and used repeatedly,” and for valued customers that aren’t ready to purchase at this moment, are always welcomed to come back to any one of our home improvement magazines even many months down the line, said Estelle Venter, the Director of Product Development at HOMEMAKERS Media Holdings. 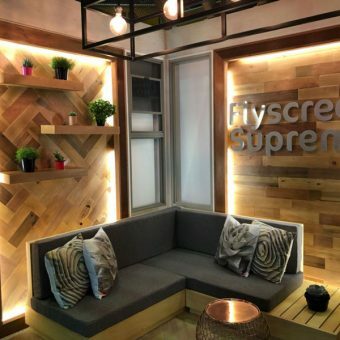 If you’d like to enjoy browsing through various pieces of furniture and ornaments, then look no further. 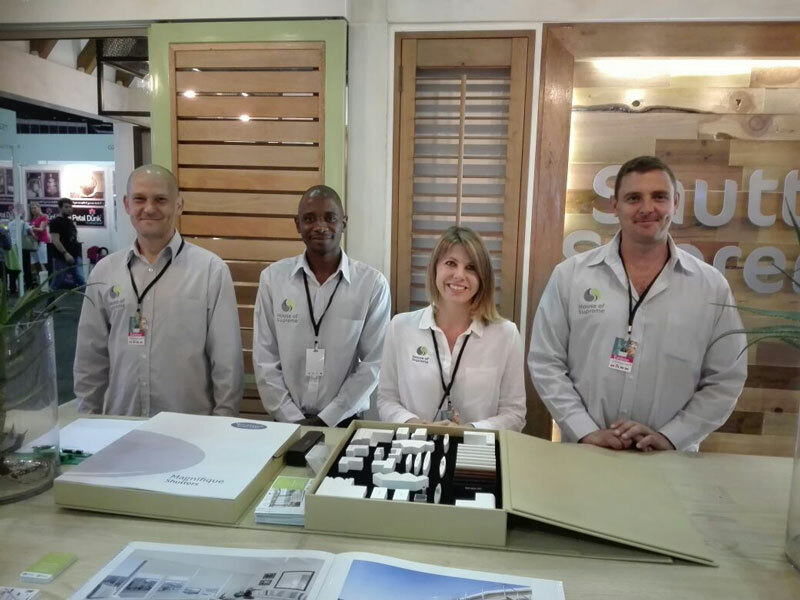 Homemakers are a national company and are situated in all the major cities including Johannesburg, Cape Town and Port Elizabeth. 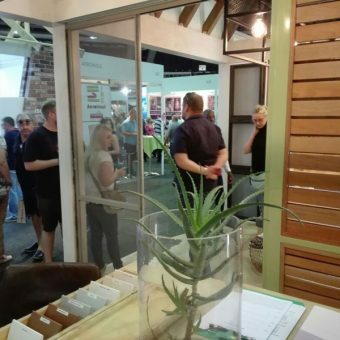 You can get a hold of free catalogues in Bloemfontein, Pretoria and the Vaal or subscribe to their website to receive your monthly magazine. 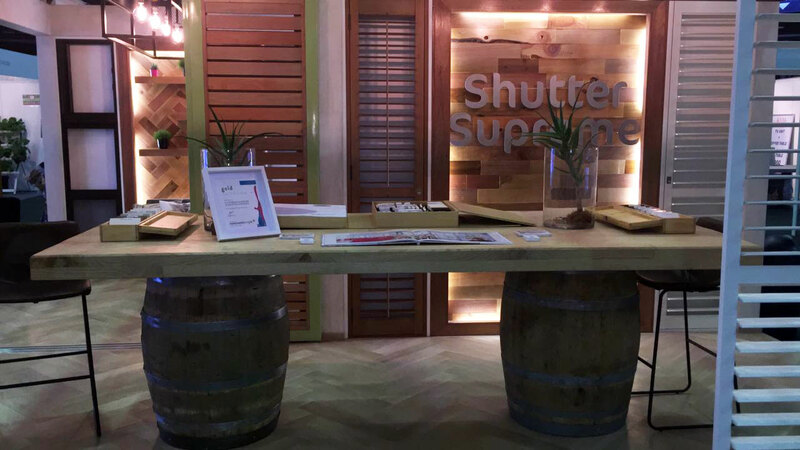 Take some time off from your busy schedule to join and interact with fellow interior enthusiast at the annual expo’s held across the country. Follow Homemakers on Social Media to find out details. Make sure not to miss out on these fantastic annual opportunities. 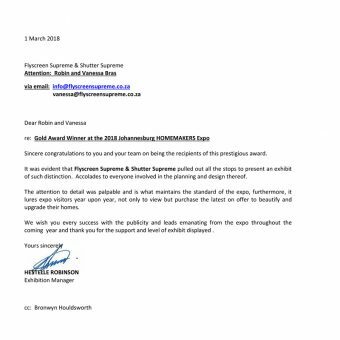 This entry was posted in Awards and tagged award, expo, gold award, gold certificate, homemakers, homemakers expo, homemakers expo 2018, homemakers expo johannesburg.